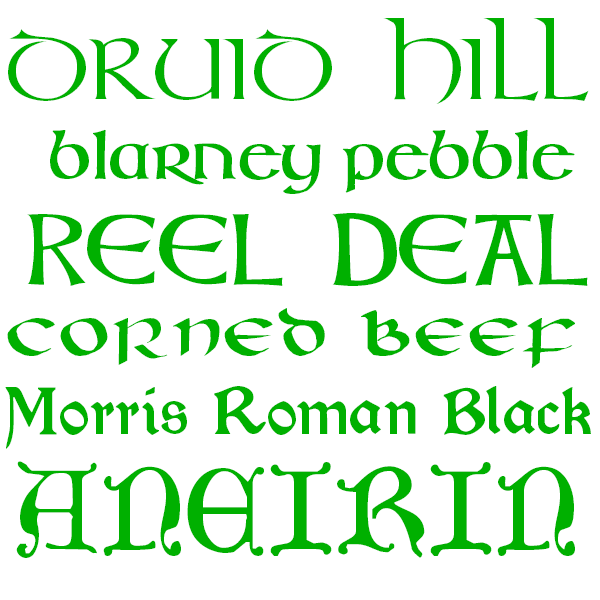 Download 7 Fonts for St. Patrick’s Day! There’s a saying that everyone is a little bit Irish on St. Patrick’s Day, so find the end of the rainbow with this new treasure trove of free commercial use fonts with a Celtic flair. All 7 fonts are in OpenType font format and can be installed on any Mac or Windows computer to use in any application that supports fonts.